Item number 2569/1 from the MOA: University of British Columbia. Long, rectangular hip wrapper. 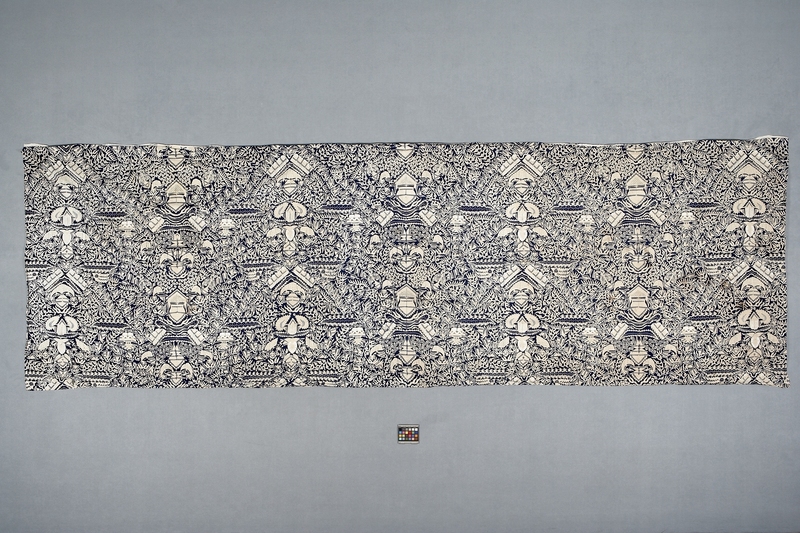 Textile has intricate designs in blue, off-white and white.